Benign prostatic hyperplasia. Artwork of the prostate (bottom), bladder (blue), and seminal vesicles (pink), viewed from behind in a case of benign prostatic hyperplasia (BPH). This is a non-cancerous enlargement of the prostate gland (here, partially sectioned). 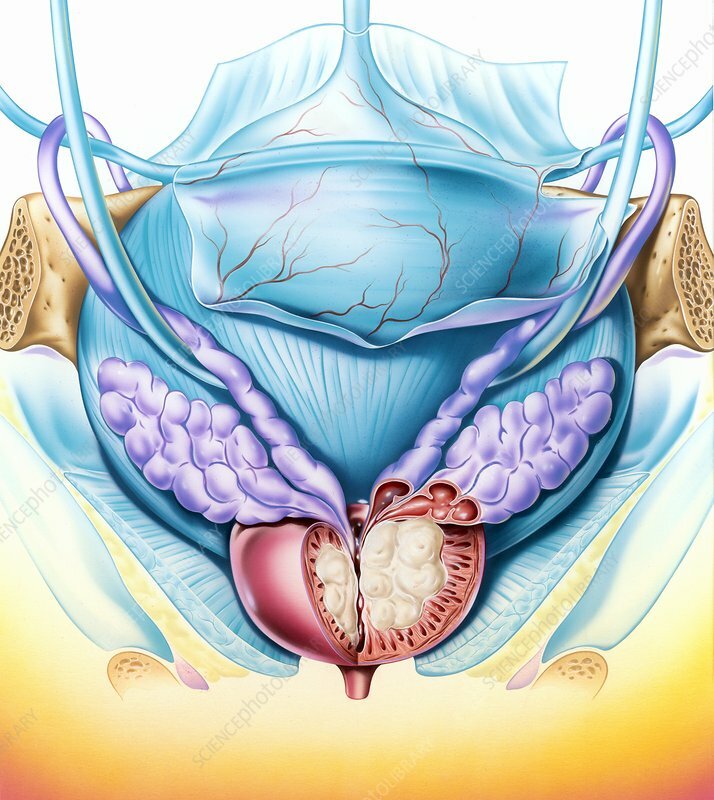 The prostate sits underneath the bladder, surrounding the urethra, the tube that carries urine from the bladder out of the body. Here, BPH has caused narrowing of the urethra, which would cause difficulty passing urine. BPH is a common condition, affecting half of all men over fifty.